Author: Lourie, Peter Set In . . . Description: Tales of pirates' treasure are real to Killian and his friend Alex, who set off on a hunt for gold doubloons buried by Captain Kidd, the notorious pirate who stashed his loot in the Hudson Highlands when his ship went down in a storm 300 years ago. 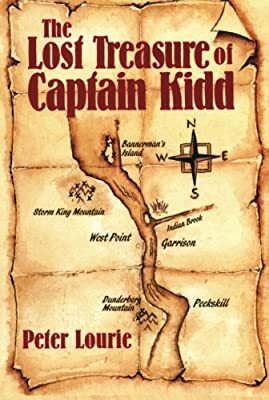 Spurred on by Killian's recurring dream of the ghostly pirate pointing the way to the gold, the boys desperately try to keep one step ahead of Cruger, a crazed treasure hunter whose cave they discover on haunted Bannerman's Island. Even the prospect of meeting the huge ghost dog who guards Kidd's treasure isn't enough to stop Killian in his quest, as his pirate dream fast becomes a nightmare.